First seen in the 1996 video game Tomb Raider, Lara Croft shifted many stereotypes when it came to female characters. Since then, she's exploded in popularity, although the Funko Pop Lara Croft Tomb Raider figures have moved at a much slower pace. 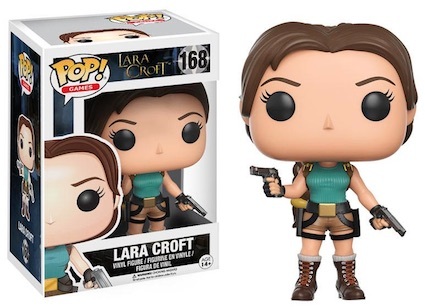 Given her roots in video games, it should not be all that surprising that the earliest Funko Pop Lara Croft Tomb Raider options highlight gaming titles. With guns in each hand, Pop! Games #168 shows Croft in a teal tank top. 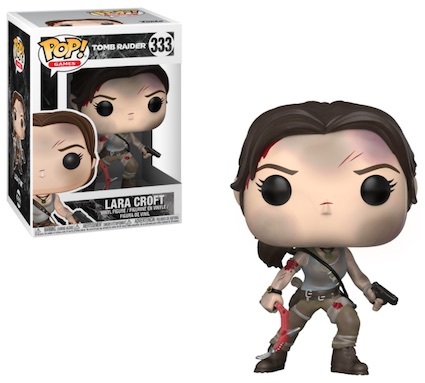 Shop Lara Croft Pop! figures on Entertainment Earth. The Tomb Raider edition (#333) is a bit more beat up, with scratches and blood on her face and arms, several bandages, dirt everywhere, and her trusty ice axe in one hand while a pistol is ready in the other. This figure showcases Croft from the 2013 video game. In addition, many fans have likely seen her on the big screen, with the Lara Croft: Tomb Raider franchise starring Angelina Jolie as Croft, and the 2018 Tomb Raider reboot featuring Alicia Vikander in the leading role. Playmates - Tomb Raider Lara Croft Area 51 Action Figure 1999 NEW!